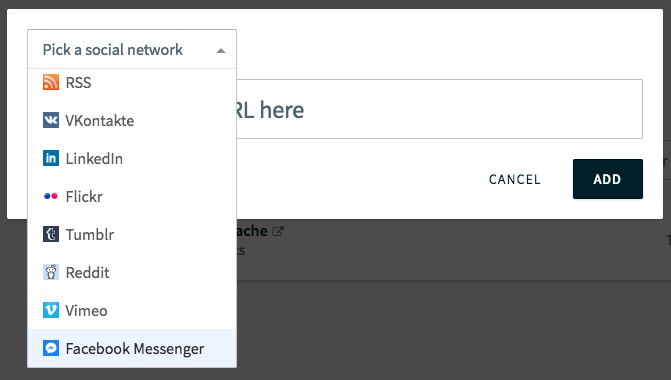 How can I add Facebook Messenger as a source for my wall? How can I use Walter to post to my wall? 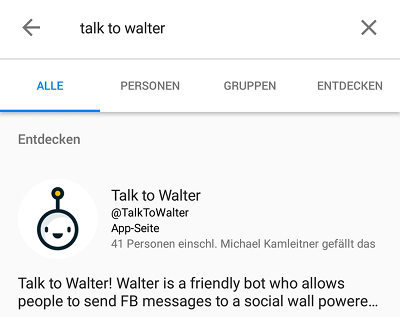 Our chatbot Walter enables you and your audience to post to your social wall through Facebook Messenger without actually posting the information to your profile publicly. Technically, Walter is not a standard chatbot in the sense that he’s not equipped with an AI and won’t have amusing conversations with you. He’s set up to do one thing only – and he does it really well. 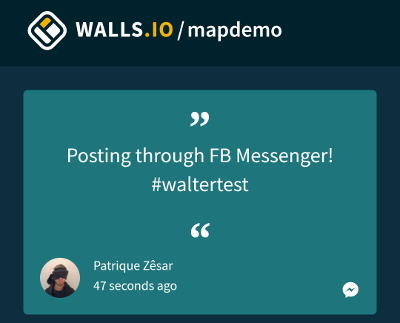 Walter allows you to post directly to a Walls.io social media wall simply by typing your message using the wall's hashtag into the Facebook Messenger window. Remember to tell your fans that you’ve added a new way of posting to your social media wall through Facebook Messenger. You can talk to Walter by messaging him through Facebook Messenger. 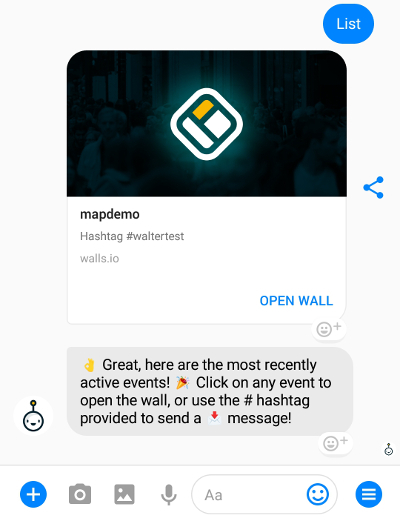 If you ask Walter for a ‘list’ of events, he will give you a rundown of Walls.io Walls and corresponding hashtags that are currently connected to the bot. You can post text-only messages as well as images & videos. 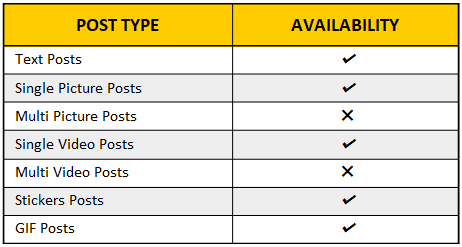 We’re aware that Walter might be tempting some people into over-posting, especially since their posts are only publicly visible on the social wall and nowhere else. So, we’ve embedded a spam protection into this feature that only permits one message per minute. Furthermore, you can always use Walls.io’s strong moderation features to stay in control of your wall.